As it approaches to summer end, 2015 fall fashion shows from London, Paris, Milan and New York have been on the go for a few weeks. Are you lost in lots of fashion news or magazine guides? Do you really master what the show delivers? Actually athleisure never fades from the stage no matter how time goes. Men and women of all ages, social and financial demographics are making athleisure their own. You can find your own style from our fall trending guides below. Layering is where it’s at when it comes to styling an athleisure look. Dress it up or down: our versatile Port Authority Ladies Fleece Blazer looks polished with a woven shirt or more casual when paired with District Made Ladies Mini Stripe Gathered Racerback Tank. A classic shawl collar and figure-flattering seaming will move this must-have layering piece to the front of your wardrobe. At last, complete this look with a pair of black sneakers. Look for items that can transition you through your busy day from workout to wind-down. 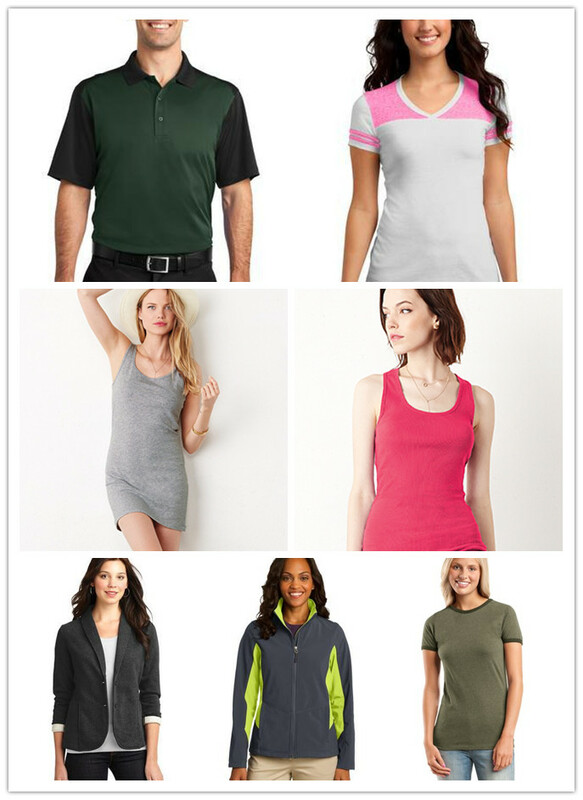 A Sport-Tek Ladies Sport-Wick Stretch Full-Zip Jacket layered over this Bella Ladies’ Jersey Tank Dress that will move with you is no longer a dream, but a reality. Fun, fashionable Port Authority Camouflage Cap prints with twill sweatbands to suit all ueses. Wear these items in office-friendly colors and you will be an athleisure trendsetter. Tank tops have become fashion statements with a huge emphasis on straps and how styles look from the front and the back. 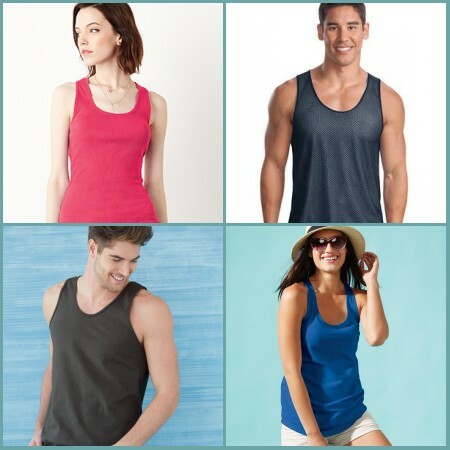 There are four options to choose: Gildan Ultra Cotton Tank Top, Bella Women’s 2×1 Rib Racerback Longer Length Tank Top, Next Level The Racerback Terry Tank, and Sport-Tek Reversible Mesh Tank. Either is the essential one to have yoga classes or playing basketball. The difference between varsity styles from a few years ago and now is that today’s varsity looks come with a twist. Essential details like double stripes on a sleeve continue to support the trend. 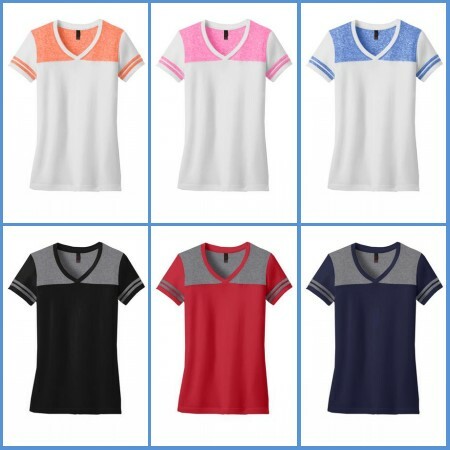 For example, a lightweight Microburn panel and matching sleeve stripes makes this District Juniors Varsity V-Neck Tee a team player. Classic styles like baseball shirts and ringer tee also supports the varsity trend. But the colors and fabrics may surprise you. 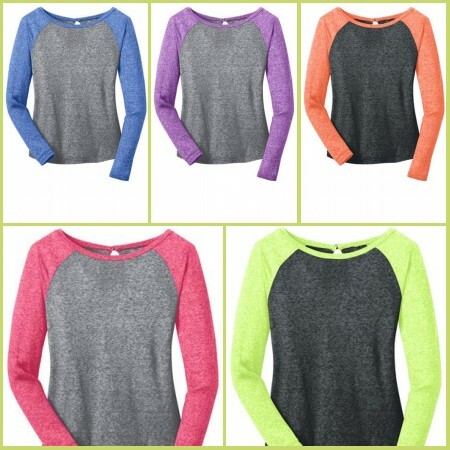 Neon colors give looks an unexpected bright top like this District Juniors Microburn Long Sleeve Raglan Tee. A keyhole detail on the back gives our airy raglan a new twist on a classic, as well as the bright colors. Refreshed heather colors in microburn fabrications add a new twist. A spin on the classic ringer, this District Juniors Heathered Jersey Perfect Weight Ringer Tee offers a vintage appeal with an ultra-soft heathered finish and contrast ribbing. Lightweight cover-ups and polos are sporting textual fabrics in office-friendly colors. Tackle the tough jobs in total comfort. 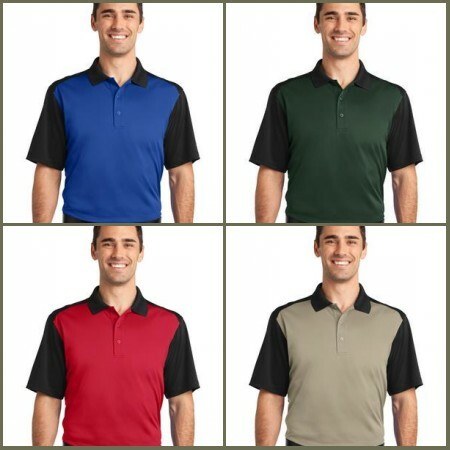 This striking CornerStone Select Snag-Proof Blocked Polo works as hard as you do with unbeatable snag, wrinkle, odor and moisture resistance. 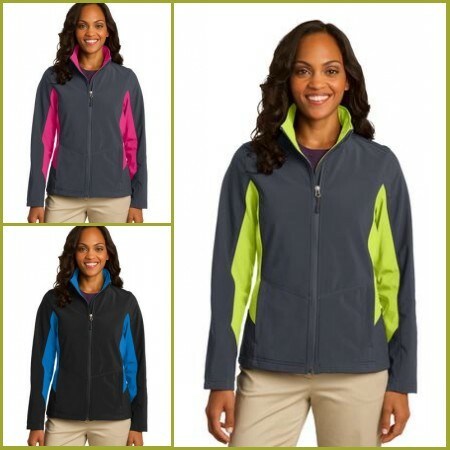 While grounding neutrals, like grey heather, lend a polished look, bold pops of color add a sporty edge, making Port Authority Ladies Core Colorblock Soft Shell Jacket both playful and professional. Athletic-inspired color-blocking on the sides and sleeves give this soft shell up-to-date appeal, while a polyester microfleece interior keeps you comfortable. 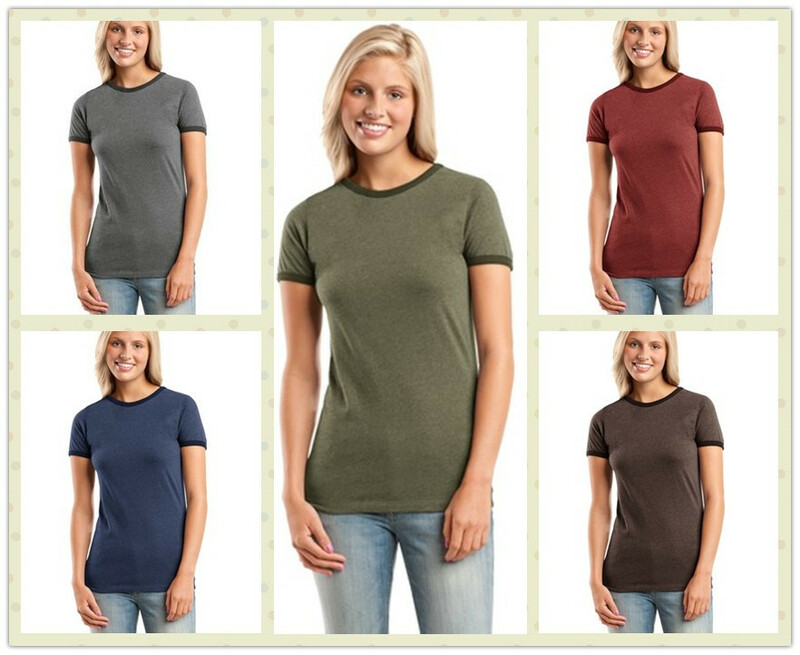 Find the hottest color essentials pieces at NyFIfth.com or pin these hot looks through our Pinterest Boards.